Looking for an easy way to build and customize your WordPress site? That’s where drag and drop WordPress page builder plugins come in handy. WordPress page builders allow you to create, edit, and customize your website layout without writing any code. In this article, we will compare the 6 best drag and drop page builders for WordPress. Why Use a Drag and Drop Page Builder for WordPress? When starting a blog, many beginners find it difficult to customize their WordPress page layouts. While a lot of premium WordPress themes come with different page layouts, most of them are extremely hard to customize for anyone who does not know code (HTML / CSS). When we talk with people who switch from Weebly to WordPress or from Wix to WordPress, their most common response is: “I wish WordPress had a drag and drop website builder”. Well, there are several great drag and drop page builder plugins available for WordPress. They allow you to create completely custom website designs in WordPress without writing a single line of code. Since there are so many different WordPress page builder plugins in the market, we decided to compare and rank the top WordPress page builders, so you can choose the right solution for your need. Our criteria for comparing these WordPress page builders are: ease of use, flexibility, and the design output. Having said that, let’s take a look at the best page builders for WordPress in the market. Beaver Builder is a premium drag and drop page builder plugin for WordPress. In our opinion, it is by far the best WordPress page builder in the market. It is extremely fast and comes with a built in onboarding tour to help you quickly familiarize with their interface. Beaver Builder comes with a live drag and drop interface. You get to see all your changes as you add them by simply dragging elements from the right sidebar and dropping them on your page. You can click on any element on a page to edit its properties. There are modules that let you add almost everything you may want including sliders, carousel, backgrounds, content blocks, buttons, and more. It also comes with over 30 finely designed templates for landing pages that makes it super-easy and super-fast to create stunning website layouts. We find Beaver Builder to be very beginner friendly. Check out our tutorial on how to create custom WordPress layouts with Beaver Builder. Wondering if it’s compatible with the new WordPress version? Yes, it is. Beaver Builder has been updated well along the Gutenberg project. So, it works fine with your new Gutenberg editor. Pricing: Starting from $99 for Unlimited Sites. Review: Beaver Builder is the easiest page builder option in the market. It comes with pre-made templates to help you get started. The ability to customize every little detail makes it the perfect solution for WordPress users. Divi is a drag and drop theme and WordPress page builder plugin. It is extremely easy to use and comes with 20+ layouts/templates for different kind of websites. Just like the Beaver Builder, the Divi Builder is a visual drag and drop page builder, a true WYSIWYG editor (what you see is what you get). You can directly click on your page and start editing with the real-time preview of all changes. You don’t need to save and click preview to see your new design. Divi comes with 46 content modules that you can drag and drop anywhere in your layout. You can arrange them in 3 section types, 20 row types, and customize each element using its advanced design settings. With Divi, you can create any type of custom page layout that you want within minutes. You can then save these Divi layouts for future use on your site. You can also export a layout from one Divi installation into another. The Divi Builder plugin is the backbone of the Divi theme, yet it works well with any other WordPress theme. Best of all, Divi has the best pricing out of all options in this. For a single price, you’ll get the Divi theme, the Divi page builder plugin, and all other Elegant Themes products. This means you can use the Divi theme or install the Divi Builder plugin on any other theme. Review: Divi is a great Beaver Builder alternative. It has a powerful page builder with limitless design possibilities. Their large number of content modules allow you to create literally any type of website that you really want. Their lifetime plan also makes it one of the best deals in the market. Elementor is another powerful drag and drop WordPress page builder plugin. It is a live page builder plugin which means you get to see your changes live as you edit it with Elementor. Simply start by creating sections and select the number of columns for each section. You can then drag and drop widgets from the left panel to your section. Elementor comes with tons of widgets including most commonly used website elements. From basic image and text widgets to advanced accordions, sliders, testimonials, icons, social media, tabs, etc. Each widget comes with its own settings. Elementor will also let you add widgets created by other WordPress plugins. Don’t want to build your own layout? Elementor comes with many ready-to-use templates that you can easily insert into your pages. You can simply point and click to edit any item on the page, replace the content, and you’re done. Pricing: Starting from $49 for single site license. Review: Elementor is a popular page builder plugin for WordPress. It is fast, easy to use, and comes with tons of modules / templates that you can use to build a custom website. Visual Composer Website Builder is a user-friendly WordPress website editor that helps you create custom website layouts, fast. It comes with a simple drag and drop builder, out of box content elements, professional templates, and a host of powerful features to make a website. Similar to Beaver Builder and Divi, it also provides real frontend editing experience for designing a website. But there’s a lot more you can do with this plugin. Unlike other plugins in the list, Visual Composer Website Builder allows you to edit your logo, menus, headers, footers, sidebars, etc. That’s why the team decides to call it a website builder, instead of just a page builder. The plugin features powerful design options to customize the appearance of any element on your page. You have easy options to add stylish backgrounds including parallax, gradient, slideshow, carousel, zoom in/out, video, etc. It also comes with flexible rows and columns for creating grid layouts on your site. Visual Composer works well with all WordPress themes. This allows you to switch your themes without losing custom layouts that you created with Visual Composer. It also includes support for the new Gutenberg editor, Google Fonts, and Yoast SEO. Visual Composer is designed for professionals, and it’s evident by their attention to details such as remembering your color choices, which allows you to easily use the same color palette for consistency throughout your design. Review: Visual Composer is a great plugin for beginners to start a website. It provides powerful features for website making in a simple manner. Website editing is made super simple with the real frontend drag and drop editor. Themify is a popular WordPress theme shop that offer a built-in Themify builder with all of their WordPress themes. For other non-Themify WordPress themes, you can get the Themify Page Builder plugin. This simple and highly intuitive page builder comes with several ready to use modules that you can add to your pages or posts. Many of these modules usually require you to install separate WordPress plugins. The plugin includes 40+ pre-designed layouts for different industries like gym, restaurant, portfolio, music, photography as well as online shops. You can import a layout with one click, change its content, and build an awesome landing page within minutes. Themify Builder allows you to edit your pages from the admin area as well as from your live site. With live editing, you get to see exactly how your changes will appear on the site. Apart from that, Themify Builder comes with ready-to-use layouts that you can quickly apply to your page. Review: Themify Builder is a reliable page builder plugin for WordPress. While the builder comes with promising features, there is a learning curve that can leave a new user frustrated. With more than one million active installs, Site Origin’s Page Builder is a popular free WordPress page builder on the market. One of the primary reason for its popularity is the price (free). It is available as a fully functional free plugin. Site Origin Page Builder is a little complicated to use, and new users often struggle to get familiar with it. However we had to include in our list because of it’s popularity. For components, Site Origin Page Builder allows you to use WordPress widgets. It comes with several widgets of its own, and you can download and install any widget. See our list of the 25 most useful WordPress widgets because you can use all of them with this page builder. It also comes with a history tool which allows you to switch back and forth to undo/redo changes that you made. This is a huge time saver, and it gives you a peace of mind knowing that you can revert and undo changes. The SiteOrigin plugin and all its widgets are fully Gutenberg compatible. There’s also a new SiteOrigin layout block that you can use as a Gutenberg block. Review: Site Origin Page Builder is a good free plugin with a drag-and-drop interface to create and customize layouts. Although the live editing is not comparable to other solutions mentioned in this comparison. As we compared different drag and drop WordPress page builders, one thing became very clear. Beaver Builder and Divi are clearly the top choice. Visual Composer is a close third option that offer a complete drag & drop WordPress page builder. If you don’t mind spending a little bit money to get the best solution in the market along with guaranteed support, then go for any of these three, and you won’t regret it. Do I still Need a Page Builder if I am Using the New WordPress Block Editor? Recently we’re getting a lot of users asking us this question. 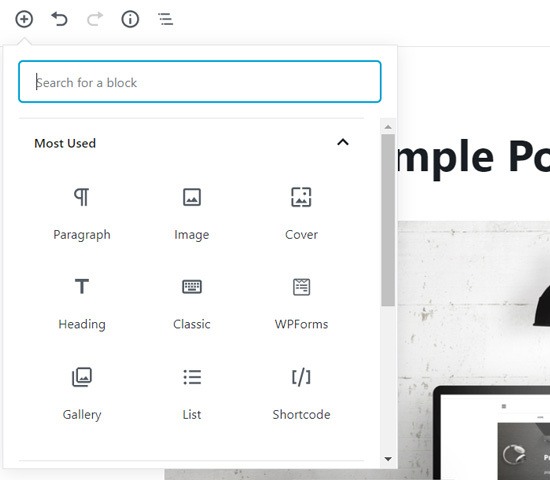 WordPress block editor also known as Gutenberg was officially launched as the new default WordPress editor. The new editor uses blocks which are content elements for creating pages and posts. Superficially, the block editor looks similar to some of the WordPress page builders above. Hence there’re hot discussions going on in WordPress about Gutenberg and page builders. Is Gutenberg a page builder? Does the Gutenberg block editor replace the WordPress page builders? And, do I still need a page builder if I am using the new WordPress block editor? And, Yes, you will need a page builder if you want an easy way to create completely custom WordPress designs. Gutenberg in its current form is no match to the powerful features these “true” WordPress page builder plugins offer. Having that said, you can use a plugin like CSS Hero with Gutenberg and probably get away without using a true page builder, but it entirely depends on your needs. A lot of our readers love using CSS Hero for quick and easy website customization. Read our full CSS Hero review to see if it’s a suitable solution for your needs. We hope this article helped you find the best WordPress drag and drop page builder plugins for your site. You may also want to see our comparison to find the best WordPress contact form plugins. Hey guys, I changed my page builder plugin but now all my pages are blank. Please contact the page builder plugin’s support for help. You can also activate the plugin temporarily and then try importing content manually. See the page builder plugin’s documentation for that. Just a heads up for others out there. I have tried Divi and want to pull my hair out. Their tutorials are outdated and so if you want user friendly – this is not. I often am instructed to go to a certain drop down menu, and it isn’t there. I am instructed to “simply” look for a button option and it not in the place they say it is. I find it somewhere else 20 minutes later… It has become VERY time consuming and frustrating. I found myself at this article looking for another drop and drag software option because after months of struggling with Divi, I’m done! I already have a WooCommerce website that I am perfectly happy with. If I get one of these page builder plugins, can I keep my present website the way it is? Will the plug-in integrate into my website? Yes, just don’t edit any of your existing pages with the page builder. What do you think of Advanced Custom Fields (ACF)? Would they be a good alternative to page builders? Could a non-developer create and customise page layouts using ACF rather than page builders? I have to decide between using ACF or a Page builder. The agency that will develop my website recommends ACF, but I think it’s because they want to push me to use them again in the future, since any changes require the involvement of a developer. I’s important for me to have the flexibility to customise page layouts if needed. For instance, would I be able to create a new page with a new layout by copying existing sections from other pages (e.g. create page #3 using the “testimonial” section from page #1 and “customer logo” section from page #2)? Your developers will recommend a solution based on your needs. If you are unsure, then you need to ask them why they would prefer ACF over a page builder plugin. If they are unable to convince you, then you can reconsider your options. Can one use different page builders in a website for different pages therein? Yes, but we will not recommend it. You will need to keep them installed, which will slow down your admin screens and may even result into conflicts when writing posts or creating pages. tnx for this perfect article. if yes, can you give me names of some of the appropriate free and premium wordpress themes? (if the answer of the first question is yes)what does make pro themes different from free themes? 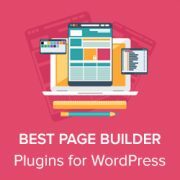 Most page builder plugins are compatible with any standard compliant free or paid WordPress theme. However, some themes may not have a full-width page template in which case page builder may have to fit its layout inside the page container. In that case you have the option create your own full-width page template or you can use page builder’s canvas template which will do the samething and provide you a blank canvas to use as template. Hello, im new in this. What about if i want to make a platform were my clients can chose there template and edit it with one of those drag and drop builders. Is it posible tu include one of them like seperadly with every registered clientes? Do page builders slow your site down? They can. Some page builders may load additional scripts and stylesheets which may slightly increase your page load time. However, with proper WordPress performance optimization you can easily negate their impact. Elementor every time for me. I think it’s streets ahead of the competition. Yes but how about its problem with a lack control over responsive breakpoints? What about the code quality of these page builders? Using a page builder seems to me like putting an awful lot of trust in a plugin to handle the layout as opposed to handcrafting templates yourself. Then again, page buildes cut the development time considerably. These page builders are top-notch in their rights and have huge communities around them. Of course, you’re having to trust the developers of the page builder to maintain the platform, but most of these companies have build sustainable businesses. I think in a lot of cases, you can limit the output of the page builder to the_content(). So, you can design a theme, but instead of creating custom templates, or using ACF and custom post types, you can just go with Posts and Pages, and either build some defaults for the client, or allow them to add blocks and widgets to design their own one-off layouts. Is there any builder out there I can use to create the layout of a single blog post but have user adding content use the classic wordpress editor? I am looking for a drag and drop builder to do this, I am sure it can be done with custom coding. The beaver themer will create the layout for posts…. Elementor Pro starts at $49. Pro adds a number of impressive and useful features, but for a basic site, the free version is more than capable. Want to tell DIVI builder so flexible best and fast. Another thing a lot off free layouts are available and you can import 10 layouts and can select some portions from some layout and then can create your won layout you want which is very very easy. a tool is god if lot of fre goodies available , Other I have tested and complex and speed is very poor and flexibility is very very poor. All other stuff are paid in those builders. If I have zero coding skills but want to learn how to blog and eventually grown into paying someone for a sophisticated site, does it behoove me to work with a developer at first or Can I jump right in with beaver builder lite and a free theme or Vogue I think works with Beaver builder lite. Please, can page builder be used on free wordpress theme? I am a newbie, I just got disappointed with my website I paid a company to design for me,. I have asked them to make some changes which they refused. So I am considering re-designing it myself but looking at the challenges involving in switching theme is making that option a daunting task. But I am willing to try if I can get the right guidance. Yes, page builder plugins work with any standard compliant free WordPress theme. How would these compare to the Avada theme? ok, I am glad that I found this as I really need to build a word press site fast . Looks like Divi is not that bad but Beaver Builder is more solid as the post states and Elementor is ok. I read all the comments and these two seem like the best choices. If anyone has any insight on where I can get my domain free, it will cut down pricing. I am trying to figure this all out, but once I do, I will continue to learn. I need to create a bunch of things in Photoshop and only one user said they like the ease of transitioning between Photoshop and Divi. Thanks for everone’s response. Please don’t go for a free domain. Even the one that comes with your hosting should not be opted. Nothing is truly free. You may end up getting a free domain for a year, however the renewal costs associated with it will be higher than the one you get from the domain registrars. If you want to buy domain, you can use namecheap and you will get a domain for around $9. Can anyone recommend a theme builder that will allow me to download the themes. I am looking to design themes to sell them on my website. Beaver Builder is praised for its ease and excellence by a very large following. Some of my contacts love it…L-O-V-E it! Beaver Builder has not worked out at all for my situation. Actually, it has been a nightmare to set up and get running on a simple blog. It’s not for everyone, which does underscore that developers should be encouraged that the market is open to other options. Keith: Thanks for taking the time to talk about your experiences with Beaver Builder. Could you be more specific about why BB hasn’t suited your situation? I’m in the market for a builder and themes. I’m considering Themify with Parallax as my first choice. Thanks for suggesting me a good plugin very helpful. I think Beaver is very good, Elementor is good and Divi is fantastic! Divi is really slow compared to the others and leaves a lot of waste code behind if you remove it from wordpress. It also requires a lot of css to do things with compared to themes like elementor which require none. I’ve used divi a few years now on multiple sites and now I’m in the process of moving all of my sites out of it. When it was new to me, I thought it was great, but the more I work with it the more I’ve come to hate it. I find it very slow, and a pain to work with their editor. More than once when they have updated I’ve had css issues. As a lot of people have said, once you go divi you’re married to it. When you try and transfer articles or pages over into something else it’s just full of code that you have to get go through and edit out. Though I would say any system that uses short codes for everything would have the same issue. Hey everyone, may I ask a personal opinion? Which one do you think is best considering performance and maintenance: a page builder plugin or set custom fields with ACF plugin? ACF Everytime. If you have the skills to build a website yourself, use a barebones theme and build your own html and stylesheet in around it. It will reduce the need for all of the add-on plugins and limitations of a paid for theme. Once you have a solid template, use this as you basis. So when you are comparing, it would be best to say Divi 2.0 or Divi 3.0 as they are very different. I’ve worked with BB and it feels like a big slab of old code in comparison Divi 3.0. Thank you for pointing this out – a lot changes over 12 months and I am seeking the best, flexible and speed friendly page builder and theme system to get into. The date makes a difference! This thread started in 2015 folks. What page builder there are for Woocommerce? Update on pricing (May 2017)! Beaver Builder starts with a premium version at $99 for UNLIMITED site use. This is quite cheap compared to other plugin pricings. May I ask which Social Media Sharing plugin you are using? It is custom made specifically for WPBeginner. When using Site Origin’s Page Builder or Beaver Lite, if the plugin is deactivated will the page be blank?! Can’t speak for Site Origin but BB Lite does leave your text in place when all the page builder code around it is deleted. So the posts or pages are filled with the orginal copy. Should Beaver Builder help with these issues? And how hard is it to change the site from Page Builder to Beaver Builder? There will allways be some plugin conflicts between plugins. Only use the best plugins (free or premium), then there will be less conflicts. So the C grade to Divi is just because the shortcode thing? I would give Divi a C- because it is not as intuitive nor as easy to use as advertize. Every time I ask a question on how to do basic things, like setting the height of a slider I have to use CSS code to do it. Is Elementor JS secure? I saw lots of Vulnerability in Visual Composer, and it’s good that they often update. However, is Elementor JS secure enough and does the community frequently update their plugins? Elementor is open source, regularly updated, and well maintained. Just like WordPress, it uses the same GPL license which allows anyone to study the code and submit bug reports. I use only Visual Composer in my 10 sites. You did not mention about it. As if it is not best selling builder in Codecanyon ! Are use the visual composer for a number of years before I discovered beaver builder about a year ago. I was using it on a few dozen sites. Since moving to beaver builder I’ve gotten significantly less support requests, much less bugs in general, and much much much happier clients. VC I was pretty much the only decent option for a while. That’s just not the case anymore. I was pretty much the only decent option for a while. That’s just not the case anymore. Woo this is tough. Back in the old days I was a staunch purist. I would often start with a base WordPress theme/framework and build pages with good old fashion css/html/php – Then I found Visual Composer. I was in heaven. I used it a great deal – for about 10 clients. Loved the ease of use – creating templates. Then there was a change. I rehab a great deal of websites. I took over for someone that had their own proprietary drag and drop. Then I looked at the code. OHMYGOODNESS. Have you guys every looked at the raw code left behind by these programs? Let’s call drag and drop editors what they are. They are simply advanced shortcode programs (we have been using shortcodes forever) – that take typical code blocks – simplify them for ease of use, and quick placement. However they leave behind a great deal of bloat. Think about it – we trade standards compliant code, for a proprietary code, that is only useful with use of the governing plugin, to make life easier. For anyone that is concerned with code to text ratios or multiple http calls – this can be an issue. HOWEVER – life is not so bad anymore. That’s one of the things I love about beaver builder. The stuff that divi and visual composer add and leave begind isn’t an issue with BB. I think that Beaver is probably the best for WordPress beginners, but there are a lot of possibilities missing. I prefer VC (waiting for the new one that will be launched soonest) with a real frontend editor and DiVI. But as I mentioned they are perhaps overwhelming for beginners. I never had problems with VC or Divi, but ok for slow servers they may become critical. And I prefer siteorigin page builder as it has recently launched visual editing also. do wordpress install have problems with multiple builders inside one installation? Thank you so much for this post. Has helped people like me struggling with code! if there are free plugins why then buy? I have been using visual composer for about 2 years now. It is a good page builder, until I started to use Divi…….It really changed the way we can go from PSD to WordPress and create great websites. One of the things I like the most about it, is how fast it is compare to visual composer. Would be great if you can try it out – I’m sure you will find a good fit for it. Thanks for sharing this awesome collection of best drag and drop page builder plugins!!! Beaver Builder is one of my favorite amongst all these plugins. no mention of KingComposer or Elementor? 100% Disagree. I had to remove DIVI from a multisite of over 30 sites because their tech support could not, and finally gave up fixing their blurbs element, which unfortunately I had used on every site. I move an install to staging for them to look at. 2 months later, as you can see, still no fix. I didn’t see Visual Composer! I’m looking for a way to add a nofollow to a link via page builder. I tried to activate some plugins for that but apparently no one is working.. Could you please tell me if there is a plug in which could do this? Awesome list but I think Page Builder Sandwich should be there somewhere. It’s one of the newest and easiest frontend page builder plus real time editing. Well, I am still quite new to WP but I can say that Page Builder Sandwich’s just like using MS Word.